An ATTACHED GARAGE makes accessing this great 3Br/3.1 ba duplex down a breeze! Be part of the amazing Wrigley community while living on a tranquil one-way Southbound tree lined street away from the crowds. Entertain on your private patio as well as a large rear deck. Located in the Nettlehorst School district. Beautiful hardwood floors throughout. The main level features an open LR/DR floor plan with an ex-large kitchen: Abundant cabinets/storage, Granite counter tops, Stainless steel Subzero, Viking and Bosch appliances. Large master suite with a walk-in closet leads to a Spa bath with Jacuzzi tub, steam shower and double vanity. The second bedroom on this level is currently used as an office/guest room with an off-the-wall (Murphy) bed. Lower level features a large family room with wet bar and frig, a 2nd "master-size" ensuite bedroom and side-by-side W/D. 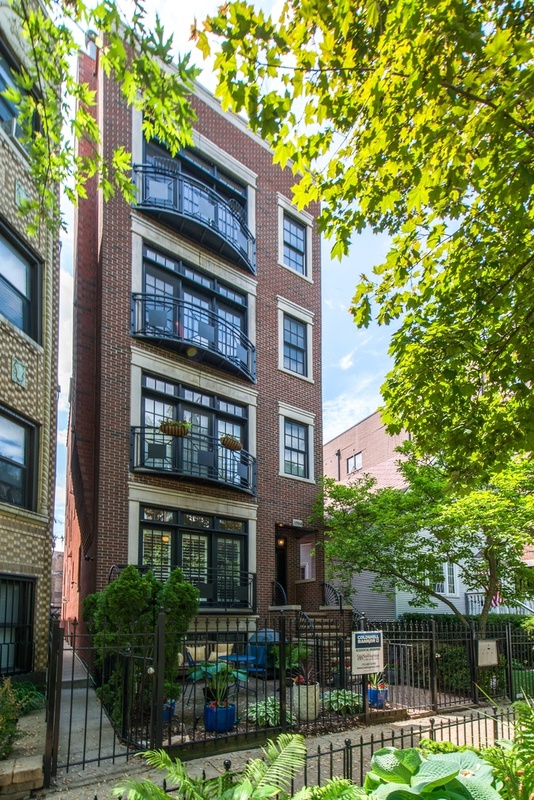 Easy walk to the Red Line, Wrigley Field, New Gallagher Way Park (agents remarks for link), Whole Foods, restaurants and more! Property information last modified by seller on Thursday, July 26, 2018, 02:05 PM CDT. Information Deemed Reliable But Not Guaranteed. Unauthorized duplication, use, or linkage is prohibited. The information on this web site is for personal, non-commercial use and may not be used for any purpose other than to identify prospective properties consumers may be interested in purchasing. Monthly Payment Calculator results are for illustrative purposes only, not a financing opportunity; calculations assume a 30-year fixed-rate mortgage and do not include closing and other costs. Property Tax on NEW properties is estimated at 1.5% of Listing Price for payment calculation purposes; actual value may be higher or lower.